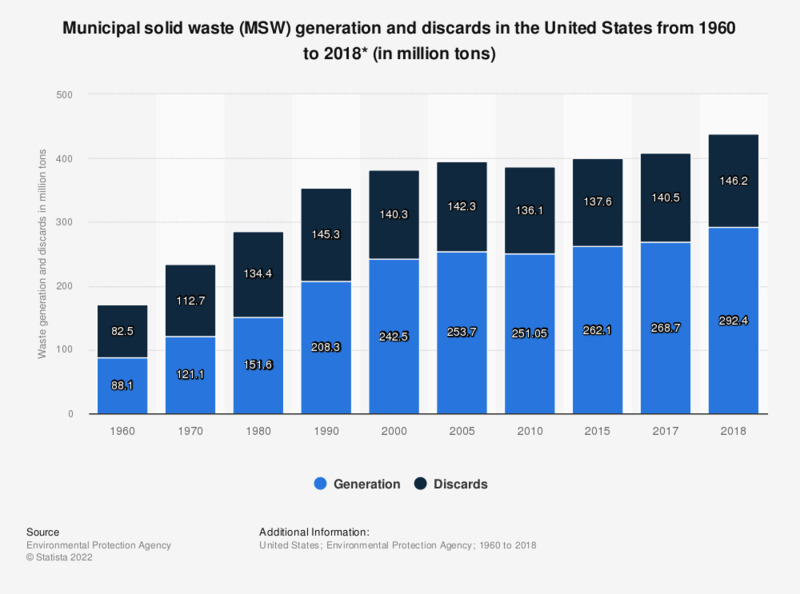 This statistic represents municipal solid waste generation and discards in the United States between 1960 and 2015. In 2015, approximately 254.1 million tons of municipal solid waste were generated here, 166.9 millions of which were discards. * Includes discards to landfill, and other disposal. Discards after recovery minus combustion with energy recovery. Discards include combustion without energy recovery. Details might not add to totals due to rounding.